The Jewish cemetery looks down upon Miskolc from high on Avas Hill in the southern section of the city. 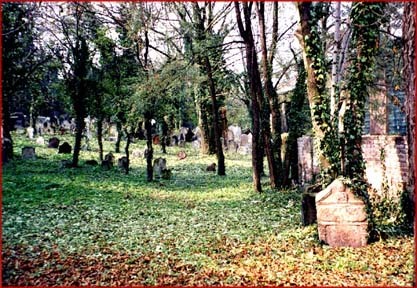 The cemetery, which was established in 1759, still is being used today. 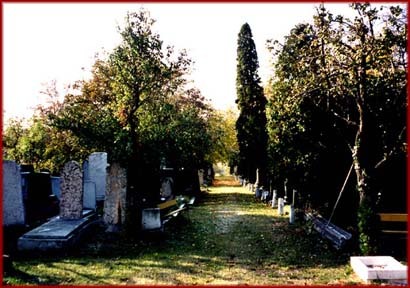 When the cemetery was visited in 1997, some sections were beautifully manicured, while others were wild and impassable. The burial register on site did not cover any internments prior to 1905. Burial registers for the 19th century are known to have existed in 1937 [see Journey to Miskolc (1937)]. Whether they were destroyed during the War or were preserved at another site has not been determined. The lack of early registers at the cemetery made it difficult to locate specific graves prior to 1905, especially as the older graves usually were in the less well-maintained sections of the cemetery, where many of the gravestones were broken, unreadable, or had vanished entirely. 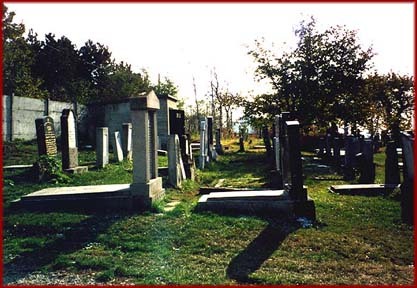 If you have updated information on the condition of the Jewish cemetery in Miskolc, please contact the Webmaster. Well-maintained plots in the cemetery. 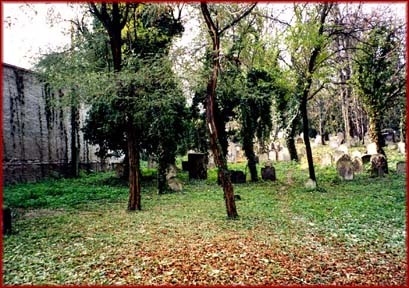 Wooded areas of the cemetery, where graves were in varied condition. were in poor condition and graves are are less identifiable. Credits: Text, photographs, and page design copyrighted © 2008 by Helene Kenvin. Page created by Helene Kenvin. All rights reserved.